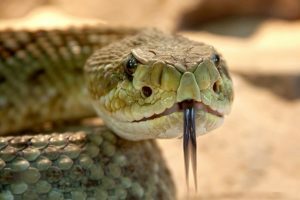 I’ve always been fascinated by snakes, and it turns out that many evolutionary biologists are, too, because snakes are arguably the most highly evolved of all vertebrates. Read why here. The Burgess Shale, in Canada’s Rocky Mountains, is one of the world’s most important fossil beds documenting the origin of animal diversity. I visited one of the key palaeontologists at his most recent fossil find. If you could rewind the tape of life and run it again from the beginning, would evolution follow much the same course, or would it be completely different? A look at the competing forces of chance and determinism in evolution.